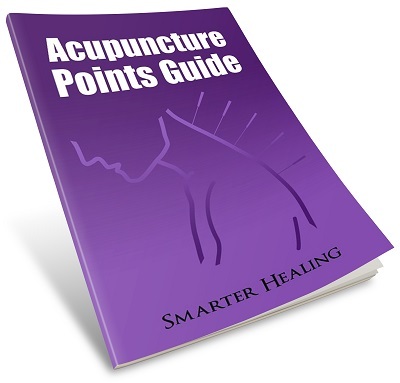 Welcome to our comprehensive acupuncture points guide. Click the links below to view our visual meridian guide. You can also click here to view all the meridians on an expanded page. Some people search for acupuncture points by location on the body, so I've made some pages below that organize the meridians by which body part their acupuncture points are found on. Follow the links above to find our image guide to the entire acupuncture meridian system of the human body. The meridian system, consisting of 12 primary meridians and 2 secondary meridians ("major energy vessels"), contains 361 unique acupuncture points along the 14 different pathways. This guide has detailed textual information about every one of those 361 acupoints. The guide also features pictures of the 6 minor energy vessels, which do not contain their own unique acupuncture points, but instead are merely energy pathways that connect points from the other pathways. If you're interested in traditional Chinese medicine but you don't have the time, money, or bravery to get an acupuncture treatment, you can experiment with meridian-based energy medicine at home by using our acupressure guide. You can use any point in this acupuncture meridian guide as a location for applying acupressure, or you can follow along with the recommended points for various health conditions.